Life has its own built-in forms of emotional and creative inertia. And while some people experience a gradual falling off of whatever it is that makes them unique and vibrant, that doesn’t seem to be the case with Exene Cervenka. The singer/songwriter’s life work has been all about constructing, deconstructing, persevering, and building back up again with new creative adjustments. Sometimes a broken bone leads to a strengthening of the rest of the body. The Excitement of Maybe is the next chapter. Maybe it’s the one that follows the run-in with an unexpected adventure, where the simplicity of real life seems more attractive than even the most exotic of circumstances. Throughout the album is Exene’s characteristic blend of folk, deep country and poppy, wide open spaces. Tracks like “Already In Love” swell with an uplifting punch of horn lines, Dave Alvin (The Blasters, X) on electric guitar, and the soulful undertone of a Hammond Organ. Other players on the album include oft-used jazz bassist Christian McBride (Diana Krall, Chick Corea, Sting) and Maggie Björklund. The album brings together the potential and innocence of young love, the gravity of departure, and the symbolic changing of seasons. “Dirty Snow” draws comparison to the “dirty snow of Oklahoma” to a leaving lover, as Exene coos, “wait until I can forget/baby please don’t leave me yet.” Björklund’s swooning pedal steel guitar and Jessy Greene’s mournful violin arrangement of “Beyond You” emote two individuals holding on while crossing their fingers for better luck ahead. And really, who hasn’t teetered in a relationship thinking: Will this work?...should I stay?...I know there’s better times around the corner. Ain't love grand! 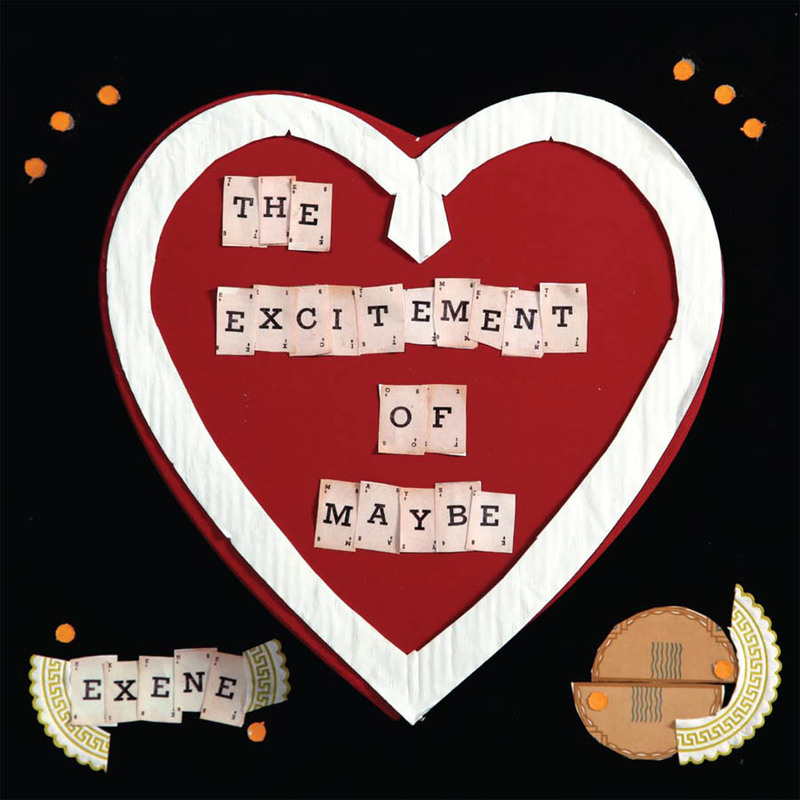 Exene follows a romance from giddy infatuation to disillusioning dissolution, hitching her narrative and angelic cowpunk vocals to a musical canvas that fittingly evolves from sunny roots pop to feisty rock. Grand indeed. It’s hard to pick out songs that stand out as this is a rare album in that there is no weakness to the material; it is sequenced perfectly and burrows deep into one’s consciousness to form a lasting imprint on the mind. This is a beautiful album, resplendent with a sound that is almost impossible not to enjoy, lyrics that beat at your heart and with a sense of feeling that love is always with us in one form or another, for good or bad. Lyric-wise, the album shares themes--aching despair, domestic romance---with her other bands. It's a world of driving rain, jukeboxes, barkeeps poised to kick everybody out for the night, empty highways and burnished vistas...Catchy and immensely singable, the endless vocal refrains on The Excitement of Maybe aren't going to leave your brain anytime soon. These are falling, loving, singing, crying, travelling songs, fitting together like a perfect scrapbook of emotion. The musical arrangements are beautiful, but it's Exene's voice keeping these songs haunting your mind.